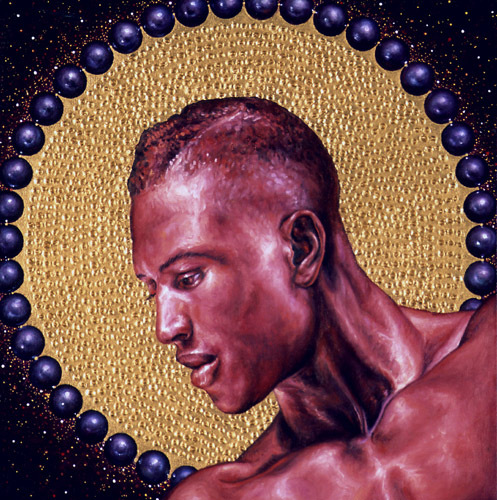 Accomplished artist Matthew Stradling will show his art work at GFEST – Gaywise FESTival 2010 Visual Arts Exhibition @ The Atrium, Hampstead Town Hall, 213 Haverstock Hill, London NW3 4QP. (Entrance from footpath on Haverstock Hill) / Tel: 020 7692 5800 / Wise Thoughts: 0208 8899555 / Mon 8 to Fri 19 Nov (Saturday & Sundays closed) 10.30AM to 5.30PM. On Wed 10 Nov Matthew Stradling will present an ‘artists talk’ event: leading an informal discussion, followed by a Q & A session about his work at the Atrium from 2.00 to 3.00pm. In this video film below Matthew talks about his art, gay art and how his art helped him through his coming out process.